Pebble Beach is a small gated coastal community located north of Carmel made up primarily of single-family homes. It is a resort destination and home to the acclaimed golf courses of Cypress Point Club, Monterey Peninsula Country Club, and Pebble Beach Golf Links. Located inside of the community is the Stevenson School, a private high school ranked one of the best in the country. 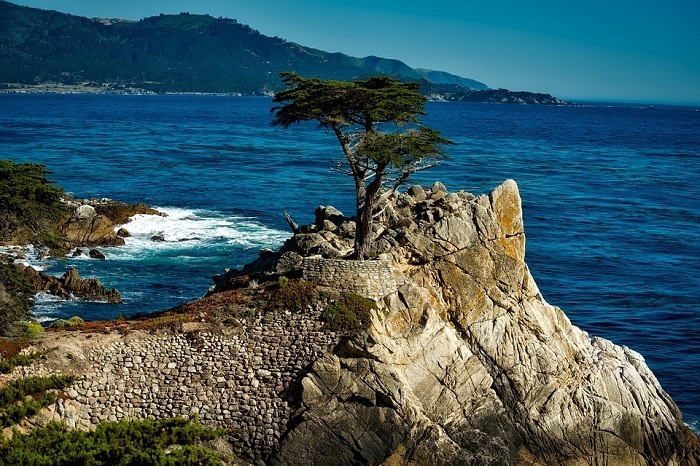 Pebble Beach is most commonly known for the infamous Lone Cypress, 17 Mile Drive, AT&T Pebble Beach Pro-Am and the Concours d'Elegance.